This recliner looks good enough to show off, but what you'll really want to show people is all the good stuff hidden "under the hood." 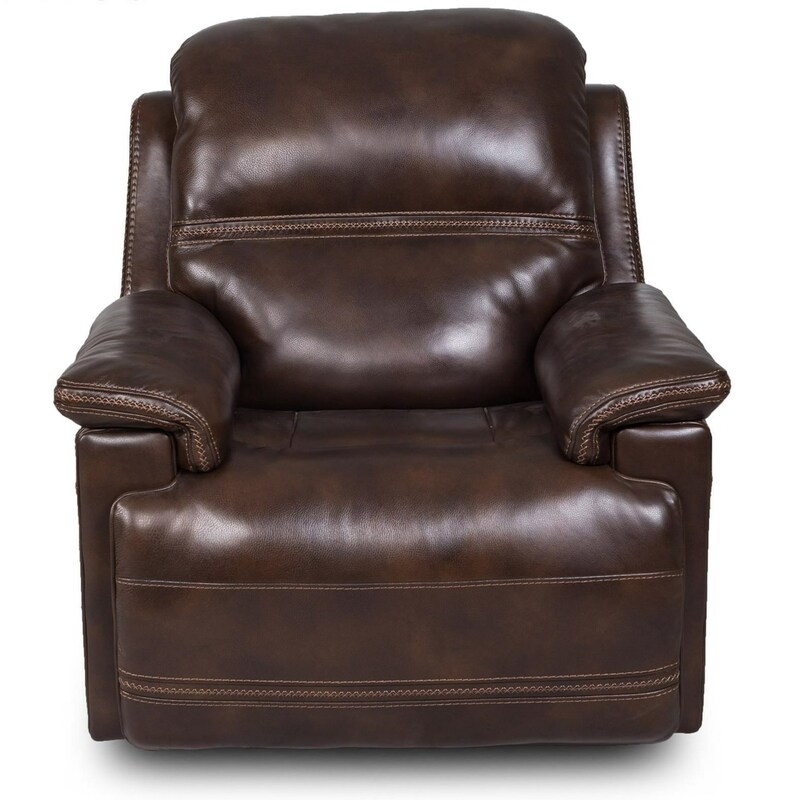 This chair features fully adjustable positioning with power back, legs, headrest, and lumbar support for the lower back. The power control is located on the outside arm along with a built-in USB port for charging phones and devices. The 1734 Power Reclining Chair with Power Head/Lumbar and USB Charging Port by Sarah Randolph Designs at Virginia Furniture Market in the Rocky Mount, Roanoke, Lynchburg, Christiansburg, Blacksburg, Virginia area. Product availability may vary. Contact us for the most current availability on this product.